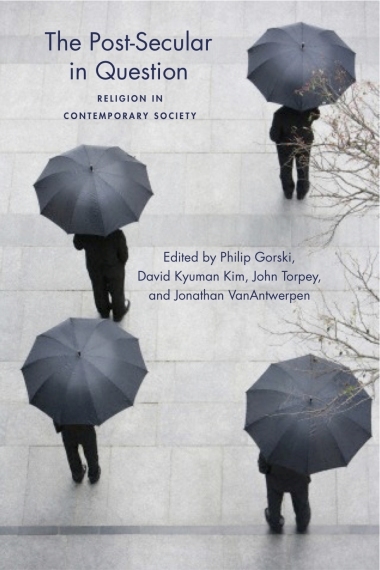 I just got my copy of The Post-Secular in Question: Religion in Contemporary Society, edited by Philip Gorski, David Kyuman Kim, John Torpey, and Jonathan VanAntwerpen (published by NYU Press). This is the fruit of a conference at Yale University several years ago. My paper, now chapter 7, is entitled "Secular Liturgies and the Prospects for a 'Post-Secular' Sociology of Religion" (pp. 159-184).